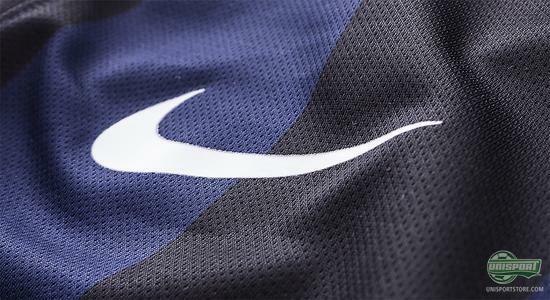 Inter are on a mission to reach the strength that they have previously shown, and in their fight towards the top of Europe, the Milano club now launches a new home shirt, as well as a new away shirt in cooperation with Nike. Check out the new shirts right here. Inter fans have not gone through the best of times lately. After having won five championships ina a row and even an impressive Champions League title in 2010, the Milano club with it's very rich history has had a difficult time over the last years. Inter have slowly fallen a bit behind Juventus and AC Milan, but now the historic club is ready to rise again with two brand new shirts. 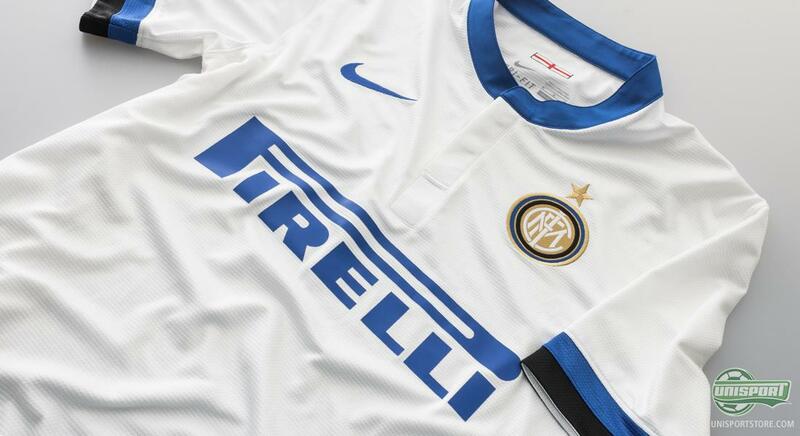 And if you wanna go back to the glory of the earlier days, what better than a classic shirt that displays elegance and strength, and which is a testimony to the great history which is associate with Inter. It seems that this is the thought behind the two new shirts that Inter are now launching together with their long time partner, Nike. 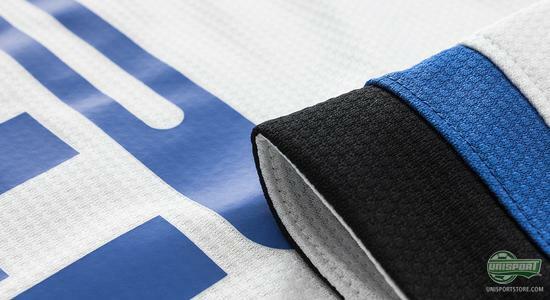 The home shirt displays the club's very classic and almost iconic blue/black colours, which, in Italian, is also the club's nickname. 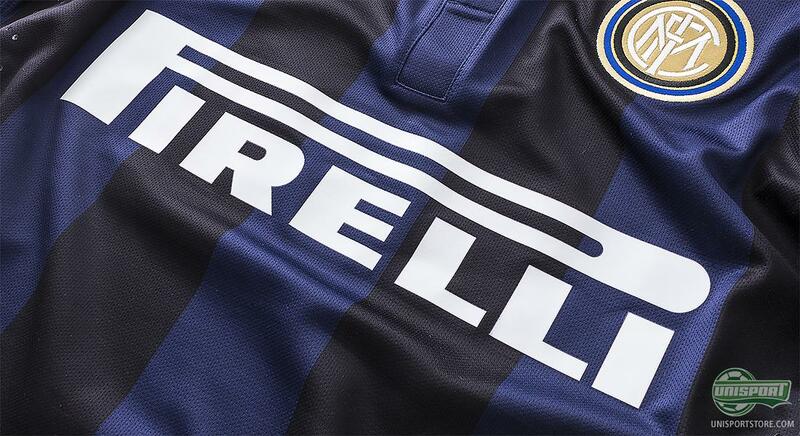 The Italian word for blue and black Neazurri has been synonymous with Inter, and therefore it doesn't come as a surprise that the shirt has been kept in these colours. 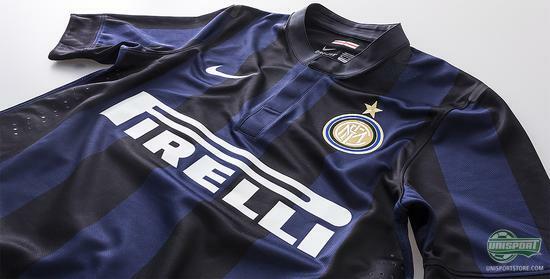 It is always interesting to see how Nike and Inter have chosen to do the iconic stripes, which we have been accustomed to seeing on the Inter shirt. Stripes can very often change over time, but for this years home shirt, they have chosen to go with the same large and bold stripes, which we also saw on last years home shirt. 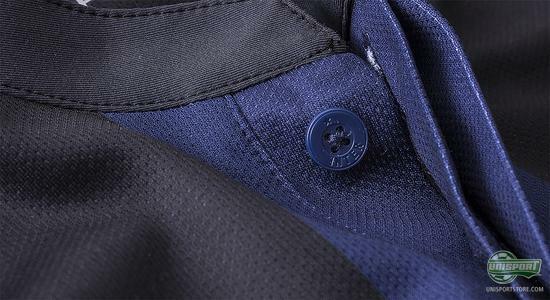 It is rather obvious that there has been a focus on the elegant and classic for this home shirt. Taking departure in the collar, Inter and Nike have chosen to make a stitch line that creates associations to the traditional football shirts, as they looked back in the 60's. Back then, inter was also among the very strongest squads and, among other things, won the Champions League two times in a row in 1963/64 and 1964/65. 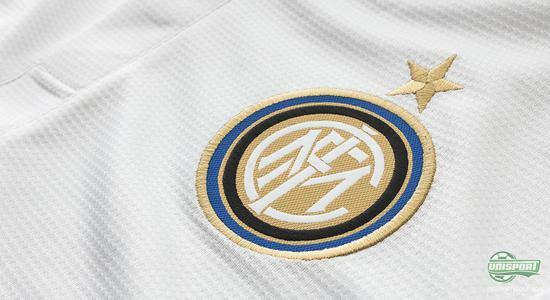 When Inter go out to show their colours away, they will do so in white, as we have Inter do it before. 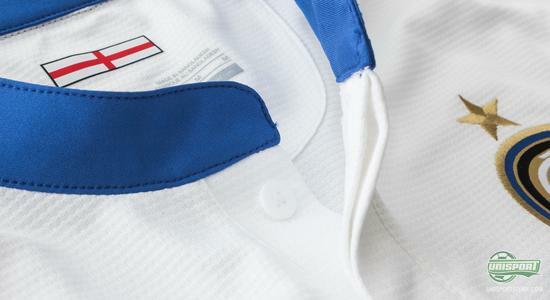 All white with a couple of elegant blue and black stripes on the sleeve to remind us that this shirt belongs to Neazurri. The new away shirt sticks to a classic design with a simple all white look with some blue colouring to provide a sharp and elegant contrast. 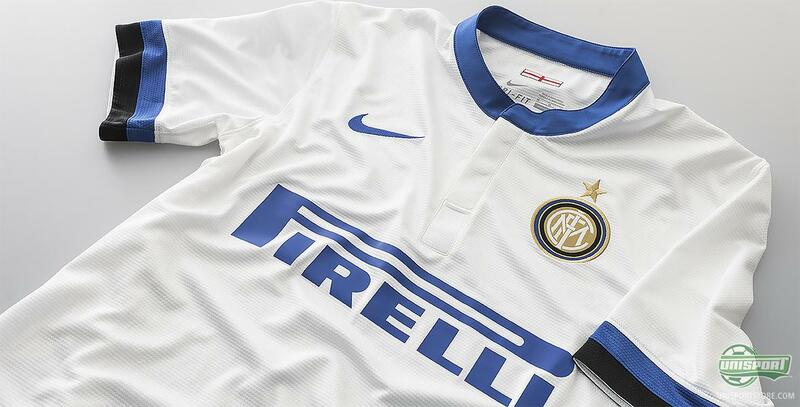 In this regard, Inter's sponsor over many years, Pirelli's name is written in blue, and the collar has also been given the regal colour. Something worth noticing is also, that they have found space for the red and white Milano flag in the neck, which may easily be mistaken for the English flag. The flag signals that the proud club, which was originated as a breakwaway club from the other big Milano club, AC Milan, are proud to represent the city of Milano. Both shirts are made wth Nike's dynamic and very comfortable DriFit material, which is designed to wick sweat and moisture from your body, hereby keeping your body nice and dry. 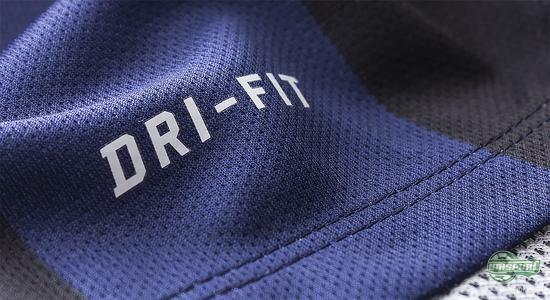 An addition, DriFit is fast drying and hereby doesn't weigh you down during a match. 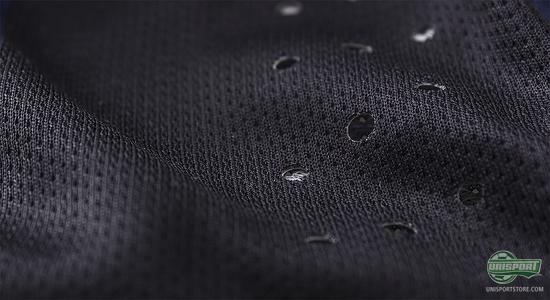 As we have previously seen from Nike, they are aware of the environmental consequences from clothing production, and therefore the shirt has been made from recycled polyester from recycled plastic bottles. Each shirt is made from 13 plastic bottles, hereby ensuring that the effect on the environment is kept at a minimum. With these two new shirts, Inter is looking to come back to the glory that made the Milano club one of the absolutely biggest European top clubs back around the mid 00's, where they also managed to go all the way in the Champions League. 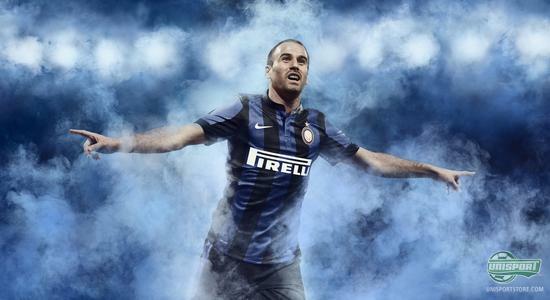 And when taking a look at the two new shirts, there is reason to believe that Inter are on their way back to glory. 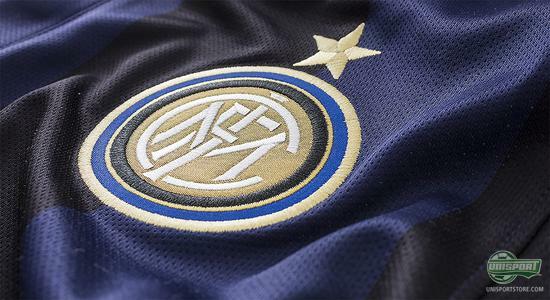 An Inter team at their very best is always a pleasure to follow, and we are looking forward to see what the Milano has in store for us in the coming season, and in their brand new shirts. What do you think of the new shirts? Is it something you will add to your collection? Feel free to leave your comment below, or on Facebook and Twitter.